Following on from a brilliantly successful 2018-2019 season. Our programme this year is full of even more great music. Our Brochure will be available for download here soon, and our concerts are listed in the Music in Norwich calendar, which has a round-up of all the classical, jazz and world music events in the Norwich area. Our 2019-2020 season is a wonderful mixture of well-known favourites such as Berlioz' Symphonie Fantastique and Beethoven's Missa Solemnis but also including music by composers we rarely seem to perform like Finzi and Saint Saëns. 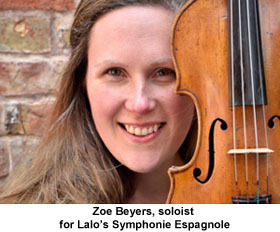 Added to that, we also have some big name soloists, including the prize-winning pianist Alexander Ullman to play the emotionally-charged Piano Concerto No.3 by Rachmaninov, and a return visit by violinist Zoe Beyers, this time to play what promises to be a spellbinding performance of the Symphonie Espagnole by Lalo. Our first concert is one of English music: Holst’s ballet suite The Perfect Fool, a vibrant beginning, followed by Frank Bridge's evocative orchestral suite The Sea, and the Philharmonic Choir join the Orchestra to round the evening off with the nostalgic Intimations of Immortality by Finzi. December is a French Evening as a tribute to mark the 150th anniversary of the death of Hector Berlioz. Who can fail to be inspired by his romantically stirring Symphonie Fantastique? And we hope you will enjoy the other items in the programme: Saint Saëns' symphonic Poem Phaeton and Lalo's Symphonie Espagnole. Don't forget to book your tickets early for our Family Christmas Concert, which is always a sellout, and if you're doing your booking online, we recommend you pick up tickets for the February concert at the same time, as they are also bound to sell very quickly. 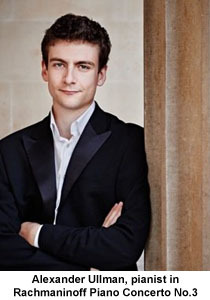 The Russian delights of Rachmaninov, Shostakovich and Prokofiev guarantee a rich and stimulating evening. And for the final concert of the year, the Choir and Orchestra will be sure to deliver a thoroughly polished performance of Beethoven’s Missa Solmenis, one of the composer's greatest choral masterpieces. Definitely a season to relish!